Agencies were left no clearer about the schedule gaps left by Champions League and Dancing On Ice. By Maisie McCabe. If a bomb had landed on ITV’s South Bank studios on Thursday night, the UK’s media agency community would have been decimated. For the past five years, the broadcaster has put on a glitzy show to get agency and marketing executives excited for the next year. And the introduction of the US upfronts-style event, bursting with conscripted talent, marked an era of change for ITV. It followed the arrival of Fru Hazlitt, the managing director of commercial, online and interactive, as well as the chief executive, Adam Crozier. Since then, ITV’s share price has almost tripled. In 2013, the main channel increased its audience share for the first time in years. It has also won an array of awards, including Campaign’s Medium of the Year in 2012. Non-spot revenues, meanwhile, have increased by 42 per cent. Last week, Hazlitt gave a rallying cry for TV. In a possible reference to Channel 4, she slammed the idea that "because we can gather tonnes of data, we should" and questioned whether new forms of ads were better just because they can be targeted. Instead, ITV is to revamp its on-demand platforms to be more in line with TV: immediate, instant and alive. Peter Fincham, the director of television, took the audience through ITV’s programming highlights. Drama was well-served with clips from Broadchurch and Downton Abbey, while excerpts from Plebs and Keith Lemon’s new sketch show provided light relief. Delegates also heard about a documentary on the Mafia fronted by Sir Trevor McDonald, and appetites were whetted for the Rugby World Cup with appearances from Danny Care and Lawrence Dallaglio. "There looks to be a great drama slate," Richard Oliver, Magna Global UK’s managing director, says. "But, in terms of entertainment, there is a new gap in the schedule for the early part of next year, given the end of Dancing On Ice, and I was expecting a bit more information about what is going on. "Also, what is ITV planning to do in the Champions League Tuesday-night slots? What are they going to do with the money and what’s the creative opportunity?" ITV would argue that it has to prevent its rivals from ambushing its schedule by limiting the information it shares this early in the cycle. Cancelling the high-profile acquisition Rising Star just 24 hours before the upfront and Simon Cowell pulling out on doctor’s orders must have made things trickier. But bringing the event forward allowed ITV to unveil details of its first free-to-air channel in more than ten years: ITVBe. Some in attendance say space should have been made for the well-regarded group commercial sales directors, Kelly Williams and Simon Daglish. 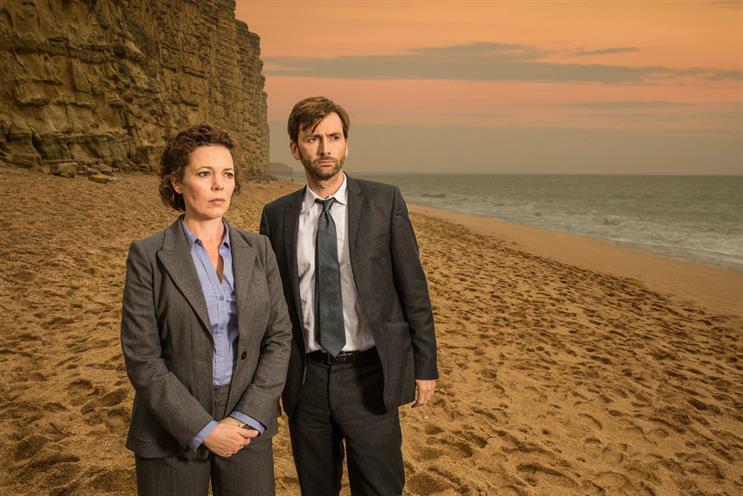 Others felt they did not hear from enough talent – in previous years, agencies have heard from big names such as Jeremy Piven, David Tennant and Olivia Colman. "ITV put on a great show," Nicki Hare, the vice-chairman at Walker Media, says. "But, this year, it maybe did not have as much of a bang, which may be a result of doing it earlier in the year." As is always the case in the UK, the upfront is only the beginning of the conversation. As the former X Factor contestant Ella Henderson ended the proceedings, agencies still had questions. But, then again, they always do.